Are you ready for another tropical card? For this month's Creative Challenge we are playing in a paper paradise. 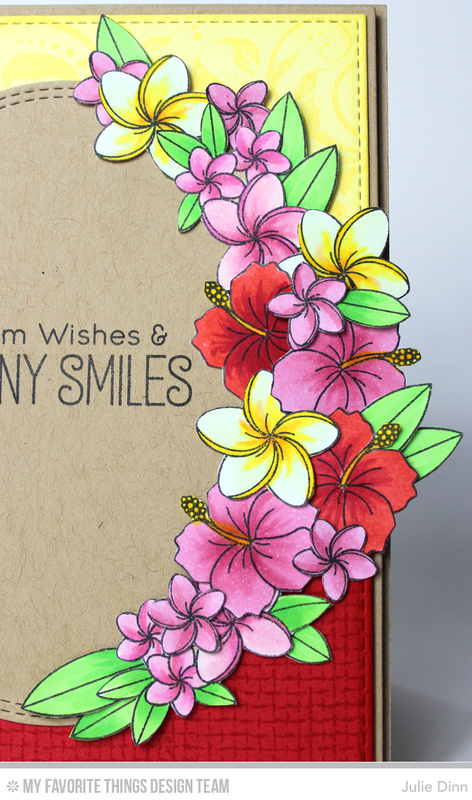 I couldn't resist pulling out the gorgeous new set from Birdie Brown, Polynesian Paradise. 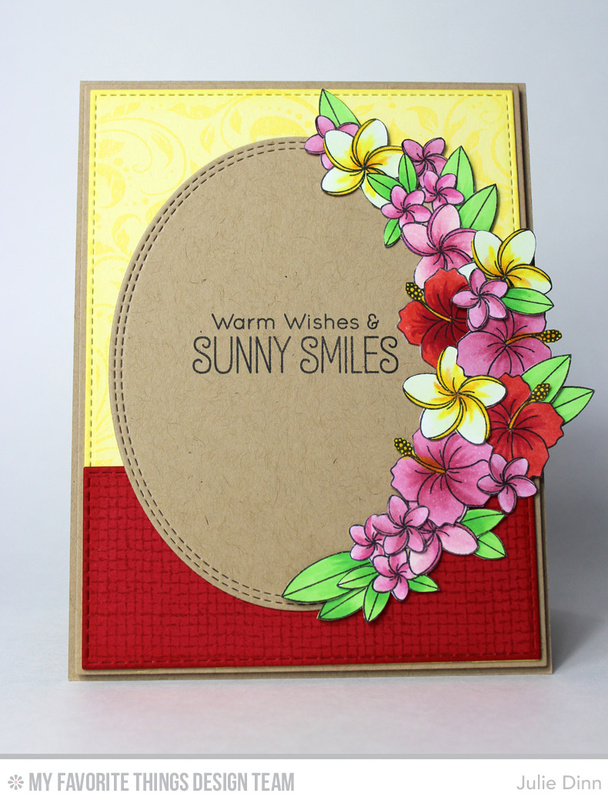 I stamped a number of flowers and leaves on a pieced of X-Press It card stock and I coloured the images with Copics. I then fussy cut out all of the images. I don't know about you, but I find fussy cutting to be quite relaxing. The flowers were arranged along the side of a Double Stitched Oval Die-namics. Be sure to stop by the MFT Blog to see all the gorgeous creations our design team has to share with you. Very pretty. Love the angled flowers and pretty colors. Gorgeous. I love how the flowers hang off the edge. How pretty! I love how you used so many flowers and layered them like this. They really shine!